This plaque sits discreetly by the entrance to the North Oakland Regional Sports Center at 6900 Broadway, where countless drivers pass on their way to jam up Route 24 or Tunnel Road. The Land and Water Conservation Fund is a federal program that redirects offshore oil and gas revenues to other ends. Its website notes that it “was [my emphasis] a bipartisan commitment to safeguard natural areas, water resources and our cultural heritage, and to provide recreation opportunities to all Americans.” Both of our Senators and 37 of our 53 Representatives signed this year’s “Dear Colleague” letter supporting the program. One of them was a Republican. 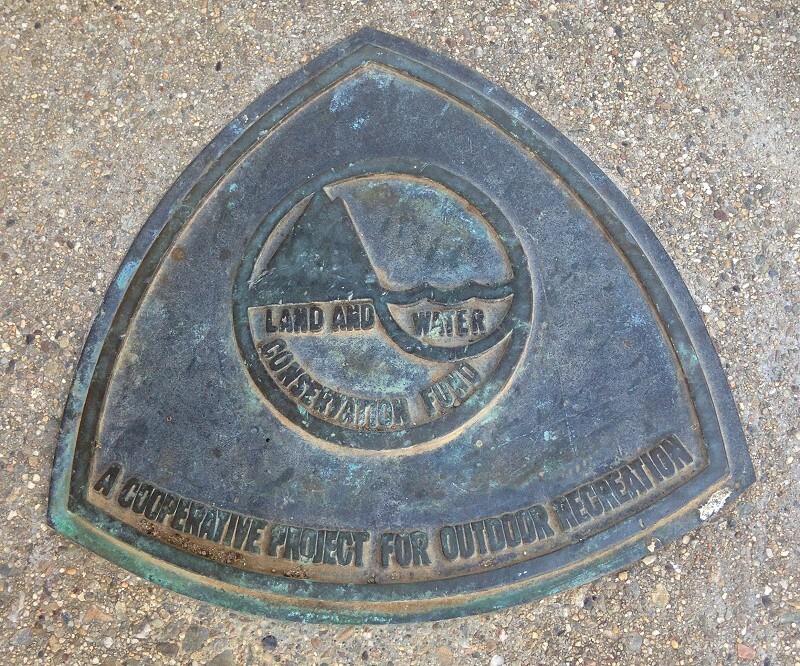 This land was acquired and developed using LWCF funds between 1977 and 1985. Let’s assume the plaque was installed in 1985. This entry was posted on 12 August 2016 at 8:03 am and is filed under Special marks. You can follow any responses to this entry through the RSS 2.0 feed. You can skip to the end and leave a response. Pinging is currently not allowed.